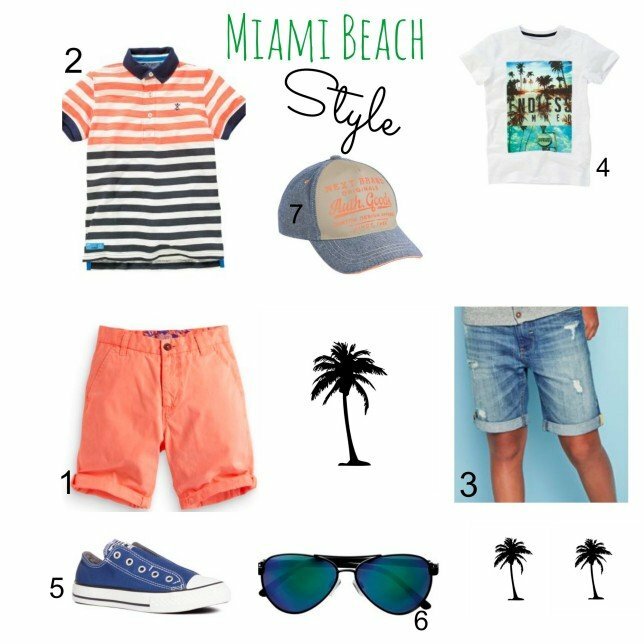 Yesterday I did a little online shopping, Miami is creeping up on us eek, and I realised the other day that I haven’t bought any shorts for the boys yet. I seem to have bought plenty of t-shirts but no shorts. A little visit to Next online soon remedied that. I may have gone a little overboard with Joe, you see unlike Jack, Joe loves bright colours so I love shopping for him. He really suits citrus shades, and they look so lovely and summery don’t they? I have put together a little collection of Miami Beach inspired pieces. I can’t wait to visit Miami Beach, we are going to spend 2 nights there and after the fun and excitement of Disney we will be ready to chill. I am thinking long walks on the beach, watching the sunset over the sea, and the boys getting the opportunity to play on the beach and dip in and out of the sea whilst I watch on with a cocktail. Ha ha all very romantic, the reality is they will have me surfing and building giant sand castles. But I can dream. Love it…. those sunglasses are proper cool.